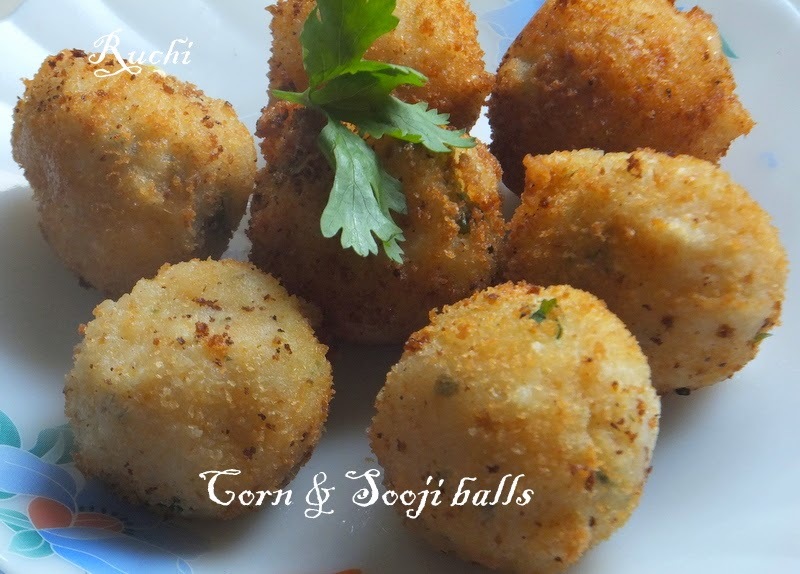 A mixture of corn kernels, cottage cheese and semolina shaped into balls and deep fried. Combine corn with coriander and paneer, together makes them so nutritious and delicious and appetizing starter or you can have this as a teatime snack. . . Ideal for all age groups. . . It is worth a try! 1.Dry roast rava/sooji with nonstick kadai till rava gets fragrant. Then Add milk and stir briskly and cook till dry and Set aside to cool. 2.I4n the rava mixture Add paneer,sweet corn,salt,ginger,redchilli powder,chat masala powder,coriander leaves and lemon juice. 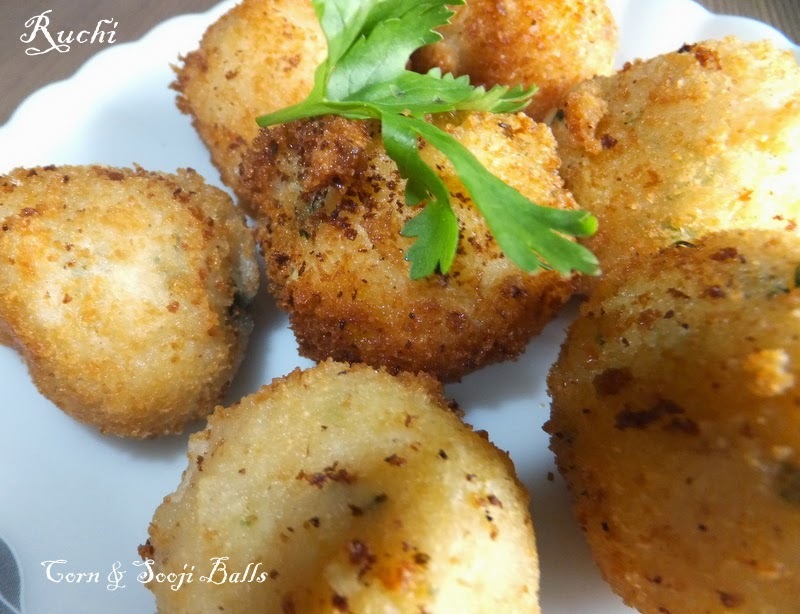 4.Dip the balls one by one in the flour mixture and roll each in breadcrumbs. So that it is evenly and thickly coated. 5.Heat oil in a pan and Gently slide the balls into the hot oil few at a time and deep fry them till golden brown. 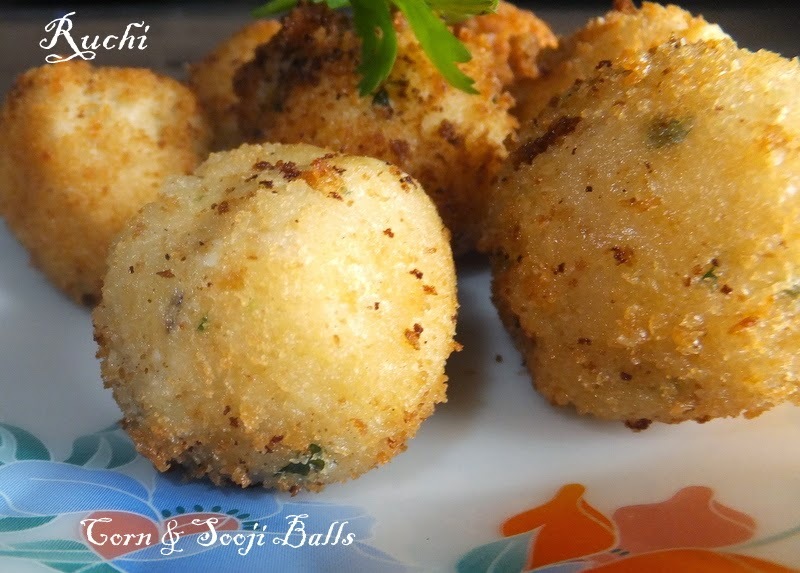 Serve them with Tomato sauce or ketchup.